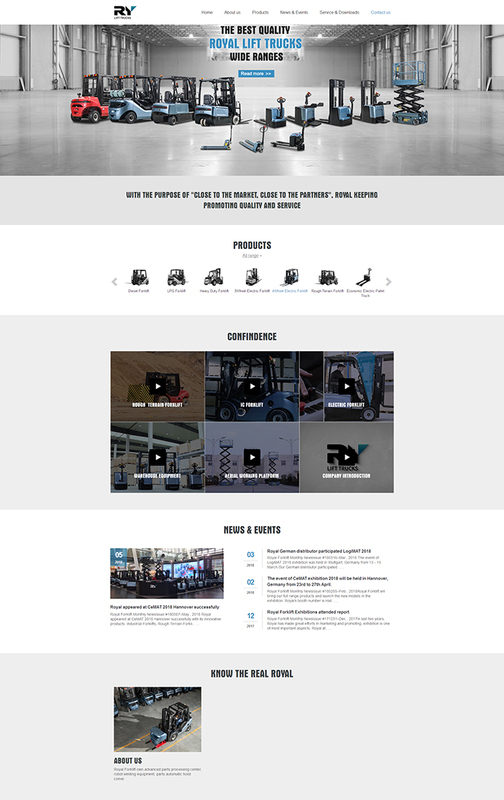 Established in Feb. 2010, Royal Forklift specializes in material handling equipment design and manufacture. Total area: 70,000�O. The production capacity at present reach 10000 units per year. Royal Forklift current product range covers 4 series, include 1T-12T industry forklift, 2.5T-5T rough terrain forklift, 1.3T-3T warehouse equipment, aerial working platform. Currently employs 300 staff, with more than 180 professional and technical personnel, more than 30 R&D personnel. Royal Forklift own advanced parts processing center, robot welding equipment, parts automatic hoist conveyor line, coating line, assembly line, forklifts performance test line, parts pre-test-bed and advanced ERP information management system. Taking professionalization, internationalization and green environmental protection as standards, to build Royal into the most respectable forklift brand.